Ahh, there’s nothing like a fresh speaker scent. That’s exactly how I felt when I opened the Axiom Audio Epic Midi 125 home theatre speaker system. Perhaps it’s because the speakers were manufactured probably only a few days prior at Axiom’s factory in Dwight, Ontario, just two hours north of our Toronto office. It’s somewhat like fresh Ontario produce in the summer, except that these speakers should taste (or sound!) just as good all year round. The Epic Midi 125 system couldn’t have arrived at a better time for this review. Transformers 2 had just landed at the movies and just before these speakers got here, I had invited a few friends to watch the first Transformers film at my house so that we could catch up on the lingo before seeing the new film. The Epic Midi 125 is a 5.1-channel system comprised of two M2 bookshelf speakers, the VP100 centre channel, two QS4 quadpolar surround speakers and the EP125 powered subwoofer. The system retails for $1388.90 in one of four standard finishes: Black Oak, Boston Cherry, Mansfield Beech and Light Maple. If you fancy a more unique look, every Axiom speaker can be ordered in a custom finish – these guys offer the largest selection of custom speaker finishes that we’re aware of from any speaker manufacturer. Axiom offers some 15 custom vinyl finishes, 8 wood veneers, 6 colours of stain for each wood veneer, 3 levels of gloss and even 6 custom speaker grille colours. To truly appreciate the number of choices you should visit the Axiom website where each finish can be previewed. The M2 bookshelves feature reflex design cabinets that are vortex-ported in the rear, which greatly reduces port noise. Each speaker has a 5.25-inch aluminum-cone woofer and a 1-inch titanium dome tweeter, crossed over at 2.7 kHz. 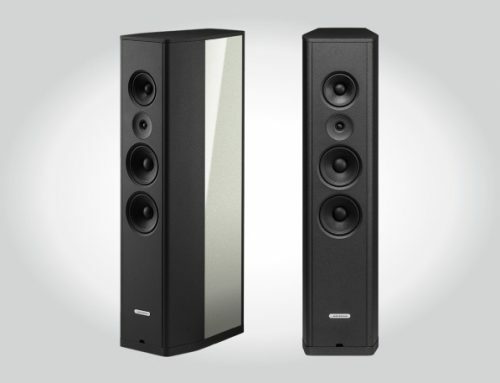 The M2s have a frequency response rated from 70 Hz to 22 kHz and a sensitivity of 91 dB. Axiom says that these speakers are easy to drive with solid state and tube amps thanks to their high efficiency. The VP100 centre channel has an acoustic suspension (non-ported) design that combines dual 5.25-inch aluminum-cone woofers with a 1-inch titanium dome tweeter sandwiched between them. The drivers are crossed over at 2.7 kHz. The VP100’s frequency response is rated from 95 Hz to 22 kHz and its sensitivity is 93 dB. The QS4 speakers are called quadpolar surround speakers because they fire in four directions: each speaker has 4-inch aluminum woofers on the top and bottom, and 1-inch titanium tweeters left and right. Each QS4 speaker is crossed over at 4.3 kHz, has a rated frequency response from 100 Hz to 22 kHz and a sensitivity of 94 dB. The QS4 speakers are small compared to most surround speakers and tiny compared to bookshelf speakers. They are however slightly more challenging to place because of the down-firing woofer. But Axiom has a few solutions: you can purchase stands specific to these speakers, wall mount them with the T-shaped metal brackets supplied with the speakers, or elevate them using something around your house. Axiom did not supply me with the stands so I got creative and cut four pieces of wood (about 4-inches tall) and placed each QS4 speaker on top of two of these wooden blocks. 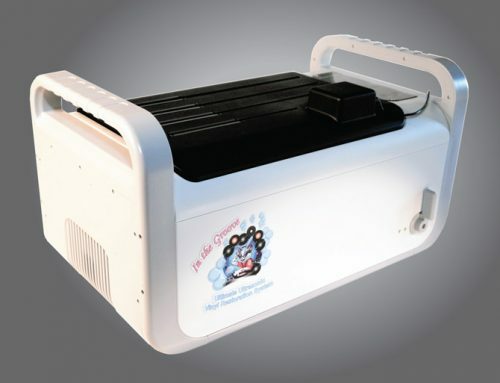 All of the above speakers have an impedance of 8 ohms and offer 5-way gold-plated binding posts that accept banana plugs, spade lugs, pins and bare-wire connections. Rounding out the system is the EP125 subwoofer which utilizes a pure cast-aluminum basket 8-inch woofer and a 125 watt amplifier. Two ribbed vortex ports in the front allow air to escape the cabinet very silently while increasing bass output. The EP125 offers line level RCA, balanced XLR and speaker level inputs as well as RCA and XLR outputs. The rear panel also contains switches for power and phase, and dials for volume and crossover frequency. I connected the speakers to our awesome new reference A/V receiver, the Pioneer Elite SC-07, and allowed them to burn in for about a week. My first official test took place watching Transformers on Blu-ray disc with a group of friends. This movie’s Dolby TrueHD soundtrack is loaded with surround effects and bass-heavy scenes, making it a great test disc for a multi-channel audio system. The pulsing bass and surround cues that accompany the DreamWorks and Paramount intro sequences set the correct tone from the very beginning. The EP125 is a relatively small subwoofer, especially by Axiom’s standards (have you seen their filing-cabinet-sized EP800? ), but it produced respectably low bass notes. Numerous helicopter scenes in this movie effectively placed me close to the action – the spinning blades called for some low notes as they rotated around my listening position. I not only heard but felt the low registers in these sequences. I didn’t expect very much of the M2 bookshelf speakers when I first unpacked them, given their compact size, but they delivered a refreshingly clean, smooth sound. Character voices, music and sound effects sounded very crisp through the M2s. The VP100 centre channel, seated below my TV and angled slightly up, produced a crystal clear dialogue, bringing out all the subtleties of speech. The dialogue was always audible even among all the sonic mayhem coming from the other speakers. But perhaps the biggest treat of the Epic Midi 125 system are the QS4 surround speakers. We evaluated Axiom’s Epic 80 Home Theatre system back in the early days of CANADA HiFi and this system stands as one of the top 5.1 channel systems that we’ve ever tested. You can find this review on our website. One of the reasons why the Epic 80 is such an accomplished system are the QS8 surround speakers, larger brothers of the QS4 speakers in this review. Thanks to their multi-directionally firing drivers, both the QS4s and the QS8s add tremendous three-dimensionality to the audio. Typical bookshelf speakers, commonly used as the surround channels, fire directly toward the listening position. This works well if you can place the speakers far enough from the listening position. The problem is that placing the speakers far enough is often not an option and the listeners end up sitting too close to the speakers and get hit with an overwhelming amount of sound from the surrounds. Axiom’s quadpolar surround speakers disperse the sound in four directions and very effectively envelop the listener with audio. It should be noted that these speakers’ wide dispersion ability does not come with a sacrifice of surround soundstaging – the QS4s did an excellent job at placing moving sounds at the sides and rear of the sound field. These speakers are also much more forgiving in terms of placement than typical bookshelves. After the movie ended, a friend made an observation: “these are the best surround effects I’ve heard in your home theatre”. Next up o the test menu was Star Trek III: The Search For Spock on Blu-ray disc. As soon as the Dreamworks and Paramount studio sequences hit the screen, I got the feeling that I was in for a nice treat. 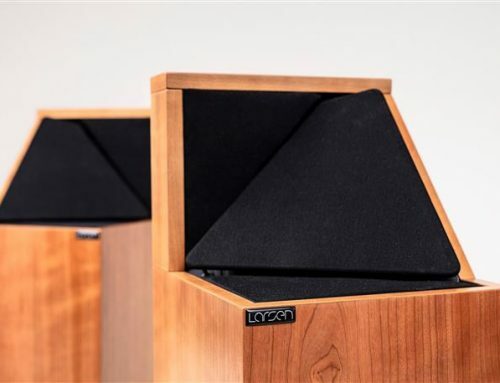 As the musical score, accompanying the intro credits, filled all of the speakers, the Axiom system demonstrated that every one of these speakers is capable of producing a clean, highly detailed sound. Each scene that takes place on the bridge of the Enterprise was accompanied by the hum of the ship’s engines coming from 360 degrees around me, creating an illusion of standing on the bridge alongside the crew. As two members of the research team explored planet Genesis, the QS4s created a believable ambient atmosphere with rustling leaves, howling winds and crackling thunder. Although we all know that sound doesn’t travel through the vacuum of space, the noise of spaceship engines transitioned very fluidly between all of the channels – I didn’t sense any holes in the surround field. But what kind of a sci-fi movie would this be if something didn’t get blown up? The EP125 provided some good bottom end to the action – it produced powerful, thunderous explosions when the Enterprise was blown up and sent hurling down toward the planet. Deep, pounding notes were also delivered when the experimental Genesis plant began to destroy itself. For a change of pace, I proceeded to listen to some music on the Midi Epic 125 system. Nine Inch Nails “With Teeth” on SACD has long been a favourite album of mine for testing multi-channel music performance – Trent Reznor’s industrial/alternative rock naturally lends itself to a multi-channel mix. I find that the clever use of the surround channels on this disc elevates to listening experience to a whole new level. “Right where it belongs” is a soft track played in the left, centre and right channels until about half-way through the track when the surround channels start to slowly pick up. Toward the end of the track, the sound of a live audience fades in all around the listening position. Listening to this track on the Epic Midi 125 sent chills through my body – I literally felt the energy of the crowd around me. “Every day is exactly the same” allowed the system to stretch into the lower registers. The little EP125 subwoofer delivered a respectably low and reasonably well articulated bass. Pink Floyd’s “Dark Side of the Moon” SACD also sounded great on this system. The M2s delivered exceptional imaging, clean vocals and a very detailed sound across the front soundstage. The QS4s ability to create a seamless enveloping sound was simply phenomenal on every single track. Overall, the Axiom system produced an excellent multi-channel listening experience. 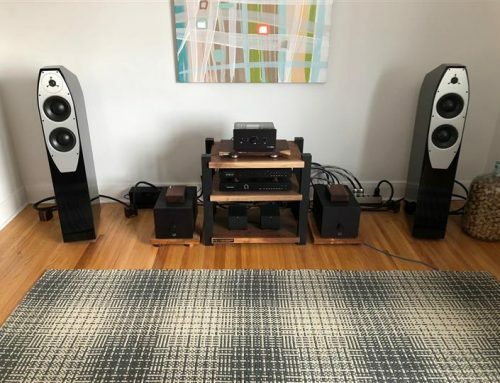 Perhaps the only things that were missing were the impact and dynamic headroom that I’m used to from my fuller-range floorstanding speakers and larger subwoofer – which in all fairness is a significantly more expensive system. Axiom’s Epic Midi 125 may be comprised of small speakers but it is a mighty sounding system. It delivered clean and highly detailed audio with both movies and music. The QS4 surround speakers’ ability to produce sound 360 degrees around my sofa was simply remarkable. The EP125 subwoofer produced enough punch to satisfy small to medium entertainment rooms. While we used Pioneer’s second from the top AV receiver, most entry to mid-level AV receiver should do just fine with these efficient speakers. If you’re looking for compact speakers capable of big sound without breaking the bank, the Midi Epic 125 is an easy system to recommend. At $1388.90, this system is worth every penny of the price. 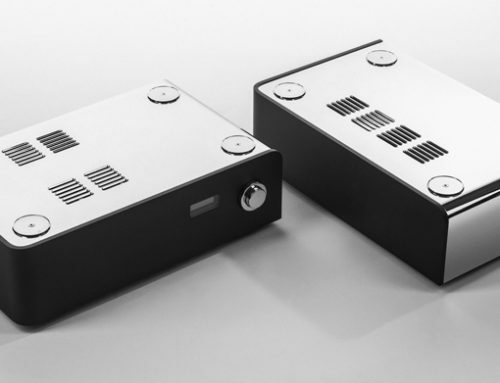 And if you’d like to experience the fresh Ontario speaker scent – don’t worry – Axiom packages the speakers very well and ships them to just about anywhere in the world.